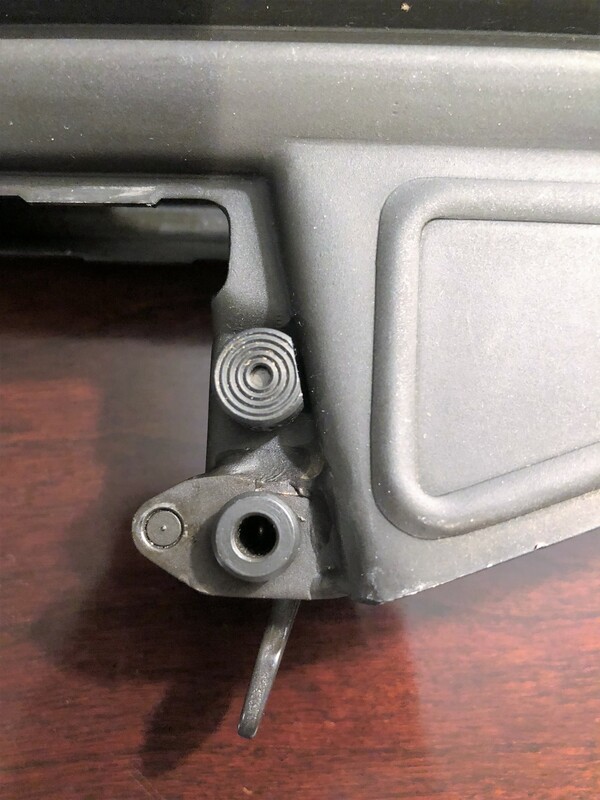 Nice rifle--- you mean the buttstock "backplate" is serialized (not the stock itself)??? It's a factory push pin. Everything on this rifle is original. It was just a matter of the push pin accidentally being put in backwards. Here you go! No worries at all, mate. I was the [email protected] who put the pushpin in backwards. Just shows how amazingly detailed you all are when reviewing these rare rifles!!! Agreed--- and most samples that I have seen do not even have the "push pin" itself!!! Thanks, Tony. It really is a rare breed and I do hope someone on here gets to enjoy it. She's a beauty and should end up with someone who appreciates it. It's rifles like this that make me wish that I was running a museum and not a business. It would look amazing hanging on a wall somewhere to be envied.